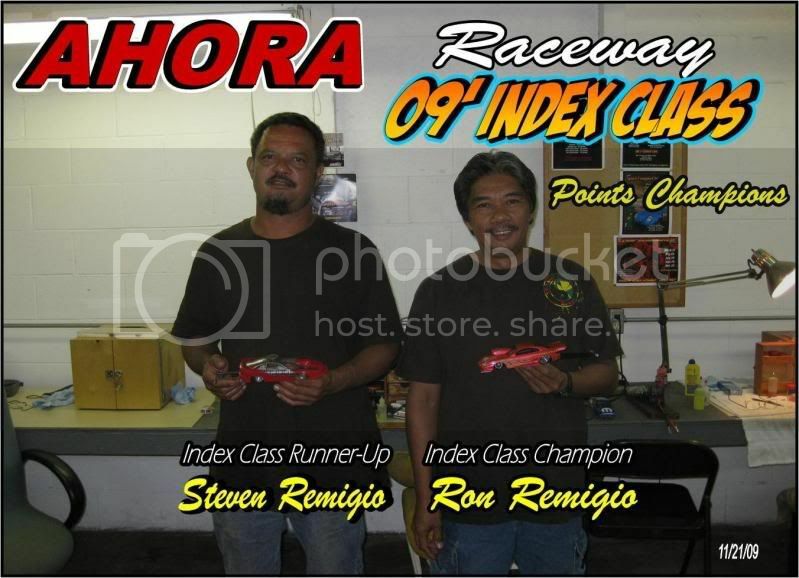 Sorry I took so long posting the results of our final race for the 09’ racing season. I would like to thank everyone who participated, who helped me run the events, and who contributed and put together some of the most awesome potluck dinners. At times, I’m not sure which was better, the potluck or the racing (LoL). As we ended our 09’ season, we also are sad to say that AHORA Raceway has closed it’s doors, and will no longer be in operation. 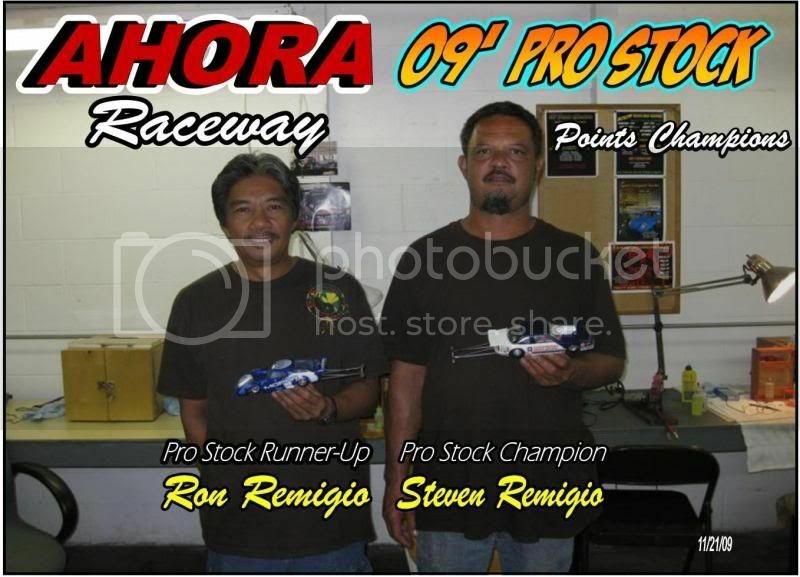 Myself, being apart of this hobby for approximately 4 years now, would like to say a very very BIG MAHALO to all of the AHORA Raceway gang. Everyone worked very hard to keep this hobby alive and well. A very special thanks from me & my family goes out to Jon, Steven, Derek, Ron, Fred, Scott, Dwen, Troy, Brandon, Cal, Wes, Terry, and the late Bobby Alipio for being an awesome group of racers, and for all the help through out the years in this hobby. You guys made it alot of fun for me and my family. I’ve posted pics of your class Champions below, and at the very bottom of this post I’ve attached the final points standings. I hope everyone had a blast (I sure did). p.s. the trophies will be here soon. Last edited by 468 Heavyweight; 12-05-2009 at 01:39 PM.